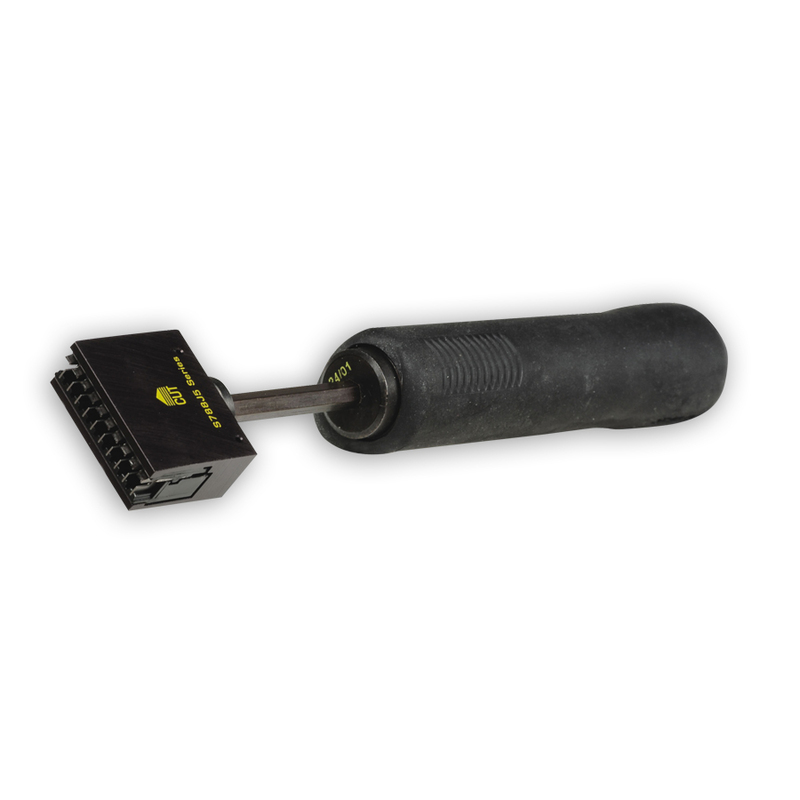 "The 5-pair termination tool is a versatile impact tool designed to terminate and cut UTP cable, and seat connecting blocks. The impact mechanism and termination blades have been designed to reliably terminate and cut UTP cable the first time, every time. The tool features an easy to hold, ergonomically designed handle that helps reduce fatigue when trimming wire or seating connection blocks to the wiring base. "